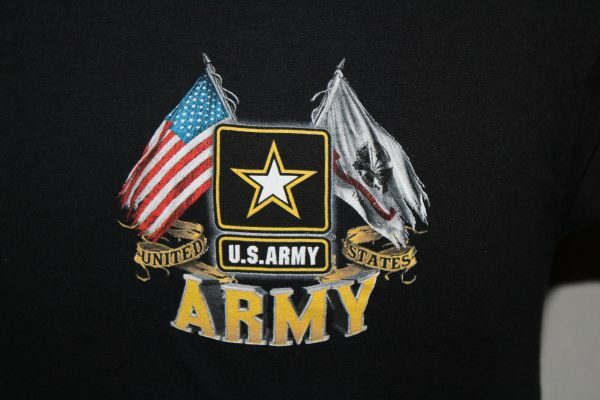 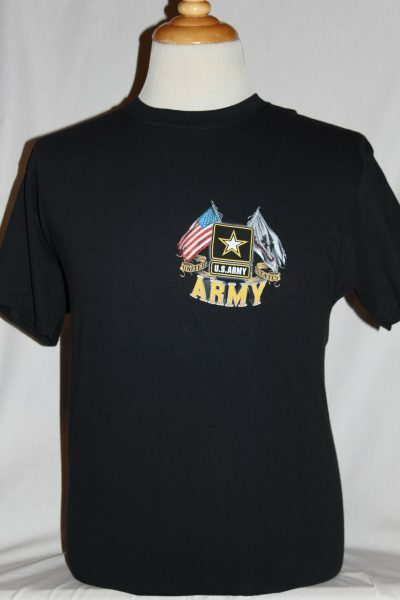 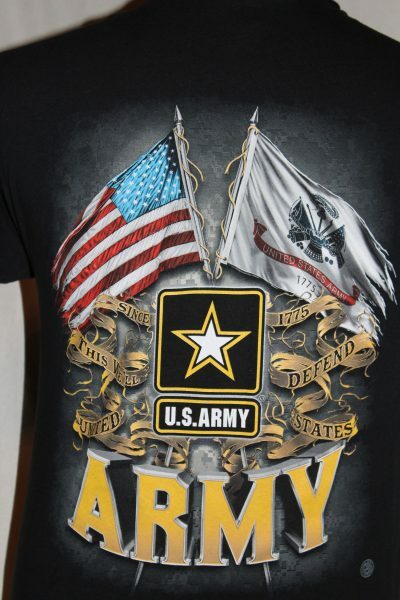 The US Army Double Flag T-shirt is a two sided print in black. 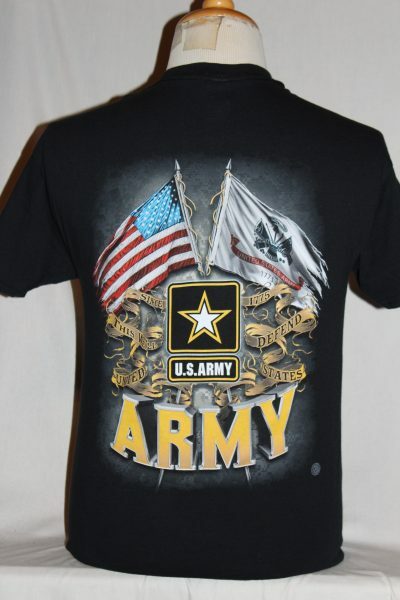 Front Design: Left chest image of the US Army flag and American flag, US Army emblem, and text. Back Design: A much larger image of the front image.